The launch of the Galaxy S9 is still some distance away, but you can already have at least one of the wallpapers from the upcoming Samsung flagship on your phone, thanks to tech journalist and leakster extraordinaire, Evan Blass (@evleaks). 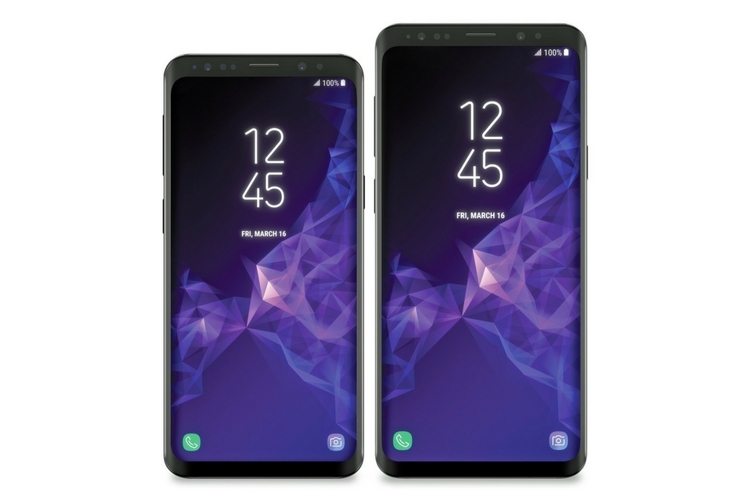 The wallpaper, as can be seen from the image below, is the same one that was pictured in the latest leaked images of the device, and is very likely to be the default wallpaper on Samsung’s upcoming flagship, although, we can’t really say that for certain at this point in time. Don't say I never do anything for you guys. As you can see from the image, it’s a pretty cool design that takes my mind back to the diamond/crystal pattern found on the default wallpaper on the Galaxy S5, although, this one’s a lot more understated than that one. Either way, should you want to download the wallpaper on your device, you can now do so using this link. If you haven’t been living under a rock over the past few weeks, you already know quite a bit about the upcoming Samsung flagship that is expected to be launched at the company’s Unpacked event in Barcelona on February 25 as part of the annual MWC trade show. While the device is expected to be more of an iterative evolution from its predecessor in terms of its design, it is expected to feature better facial recognition as part of its ‘Intelligent Scan’ algorithm that will apparently use “both the camera and the iris scanner for more reliable and faster face detection”, as we noted in our article on the subject earlier in the day. The buzz around the Galaxy S9 launch is reaching a crescendo, and Beebom will be there at MWC to give you all the specs, features and videos of this and other launches, so do remember to check our coverage.